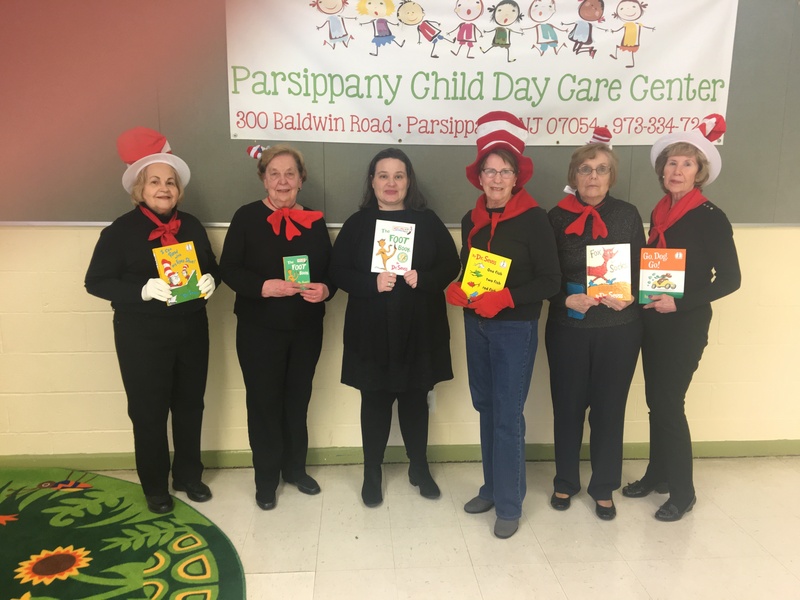 In celebration of Dr. Seuss’ March birthday, members of the Woman’s Club of Parsippany-Troy Hills (WCPTH) once again read to the children at the Parsippany Child Day Care Center. The National Education Association’s (NEA) Read Across America Day is a nationwide reading celebration that takes place annually in March Read Across America is the nation’s largest reading celebration, with more than 45 million students, parents, educators and others participating every year. Proceeds for this and other educational projects, were made possible by the funds raised at the club’s annual Tee Off for Education Golf Classic Fundraiser. This year’s 37th Annual Tee Off for Education Golf Classic & Luncheon will be held on Tuesday, July 10th at the Knoll Country Club (West).